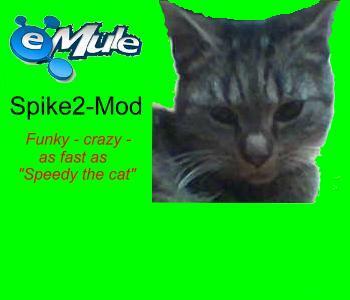 -->NOTE: As people often mix things up, here I state it once and for all: Spike2-Mod IS NOT based on the emulefuture-Mod. The emulefuture-Mod IS NOT based on Spike2-Mod, either...! ADDED : Addon-Directory (by Shadow/WiZaRd, taken from the emulefuture-Mod) -> Readded !! features haven't been inserted, one empty PrefPage & one known bug - but it works as good as old Spike2 1.0.
the settings are correctly applied.